Transparent jewel case, 4-page booklet. BWV 205 was originally released as ETERNA ‎- 8 27 828. 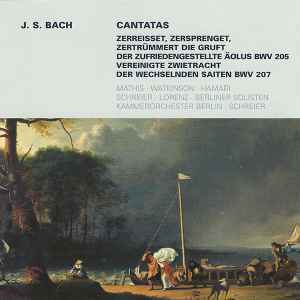 BWV 207 was originally released as part of ETERNA ‎- 8 27 171.